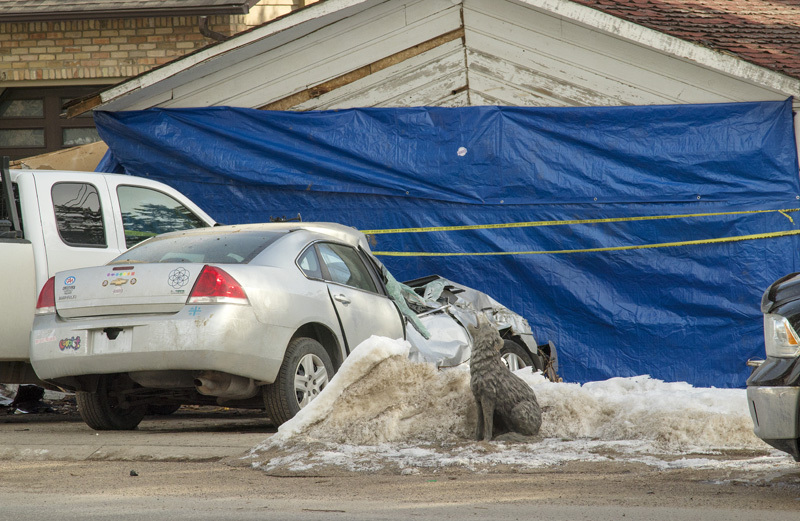 One man is in custody facing several charges after a collision between a vehicle stolen in Calgary and two parked cars and a garage in Chestermere. On March 25, at about 2:15 a.m. Chestermere RCMP responded to a vehicle that had fled from Calgary police after striking a police car. With the help of HAWCS helicopter and Calgary police, Chestermere RCMP were able to locate the vehicle which fled from RCMP at a high rate of speed. The suspect vehicle then collided with two parked cars and a garage. The driver of the stolen vehicle fled the scene on foot and was pursued by RCMP with the assistance of a Calgary Police K9 unit and arrested on a nearby property. After the arrest it was confirmed that the vehicle had been stolen in Calgary. The suspect driver was injured in the collision and taken to hospital for treatment of minor injuries. No one else was injured in the collision however there was significant damage caused to both the vehicles and garage. A 38-year-old Calgary man has been charged with Dangerous Driving, two counts of Leaving the Scene of an Accident, two counts of Flight from Police, four counts of Mischief, Possession of Property Obtained by Crime Over $5000, Possession of Property Obtained by Crime Under $5000, and two counts of Failure to Comply with a Condition of a Recognizance. Police continue to investigate and said additional charges may be laid as the investigation is completed.